It’s been three decades we’ve seen Maruti’s efforts in making a dream come true wish happen to many Indians by giving everybody the option to own a decent modern car. 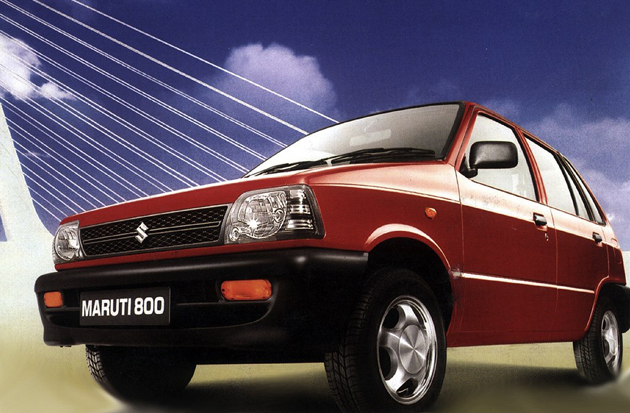 Yes, we’re talking about the Maruti 800 here. We may see the end of its production at the end of the year. It’s expected that by December 2011 or January 2012, Maruti Suzuki would finally be stopping the production of the Maruti 800. Sources suggest that Maruti would be coming with a replacement to 800 with another car built on Alto, which would be hitting the roads by 2012. Another source says that Maruti had already given a hint to their suppliers about stopping Maruti 800’s production from December 2011. They told they’d be launching a replacement to the 800 in the sector, which would be positioned a bit higher than the 800. This was confirmed by another source close to Maruti. The model to be replaced would be priced lower than the fastest selling car here in India. The Alto’s development is done at the in-house Research and Development facility by Maruti. The launch of the new replacement car to the 800 would be somewhere midway of next year and would be Maruti’s fresh entry, the production of which would aid to generate high volumes for Maruti. Maruti Suzuki is the oldest car manufacturer in India with a mighty 50% market share, which started off its production in 1984 at Gurgaon when the Maruti 800 was first introduced. Maruti 800 sales were stopped in 13 top cities when the new BS IV emission laws were put to effect in those regions the previous year. Apparently, Hyundai is Maruti’s top competitor in small car segment where Hyundai too is planning to launch their small 800 cc car soon. The small car is codenamed as H800 and will be positioned below Santro. There are rumours circulating that it could be called ‘Eon,’ and Hyundai might be coming up with a diesel variant as well.